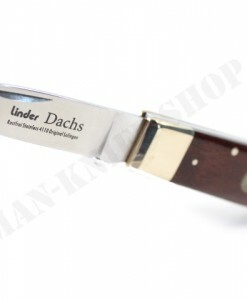 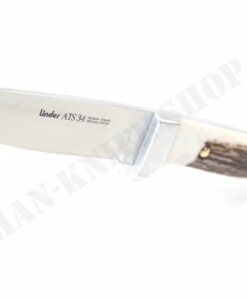 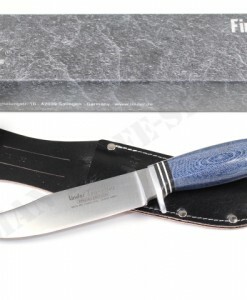 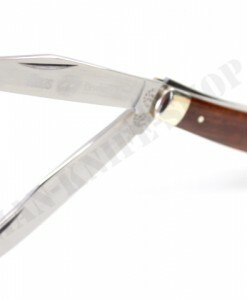 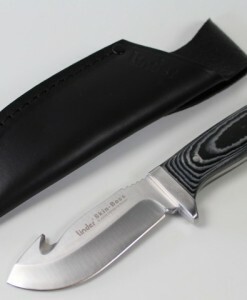 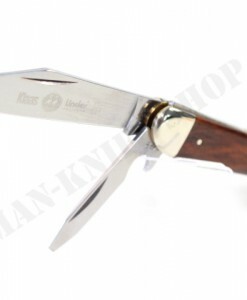 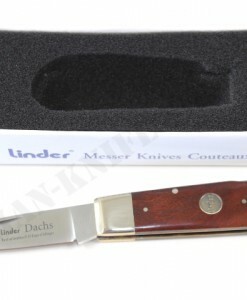 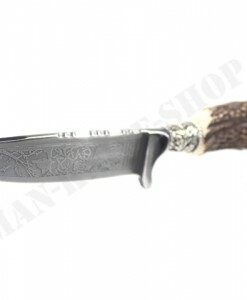 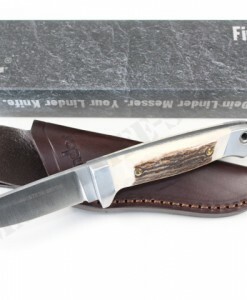 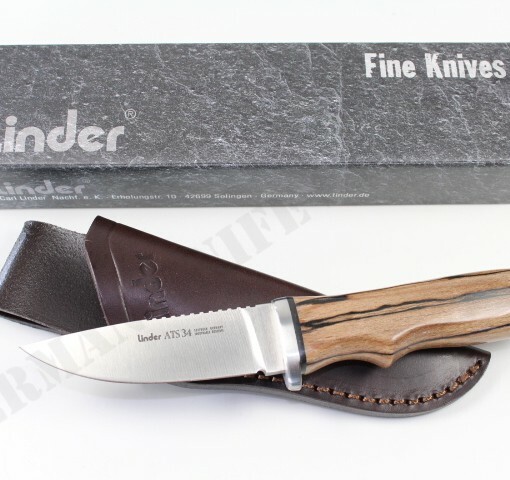 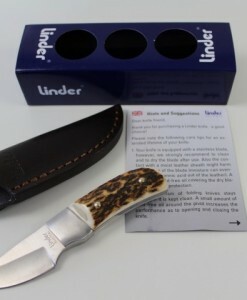 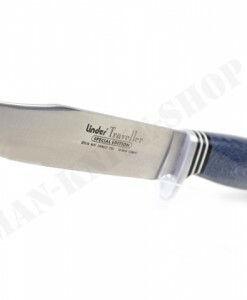 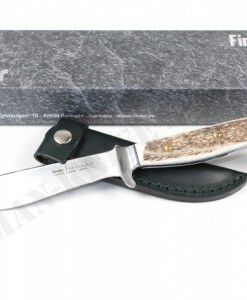 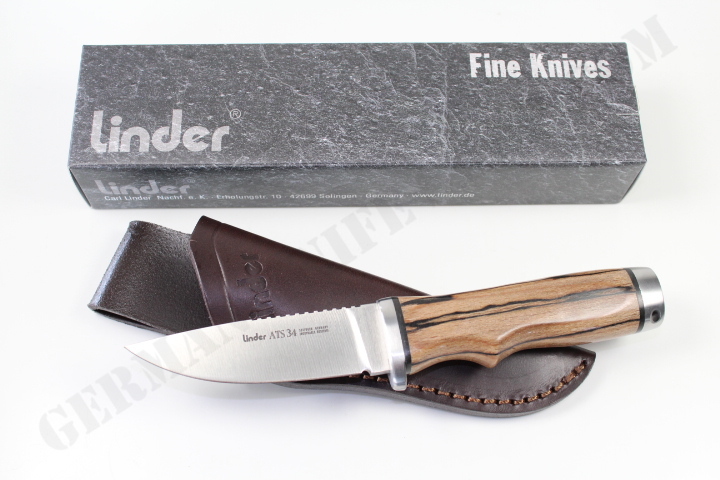 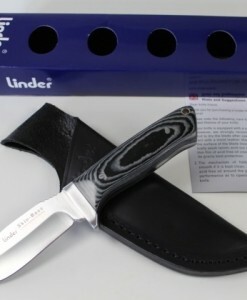 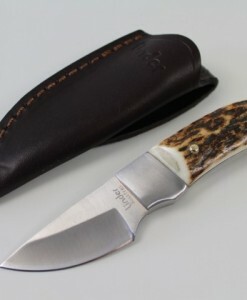 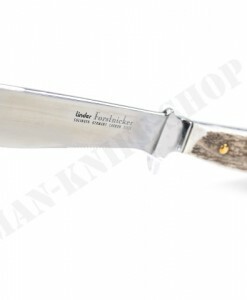 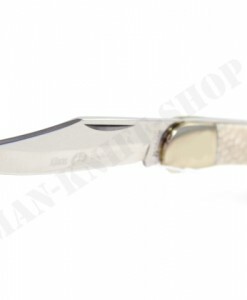 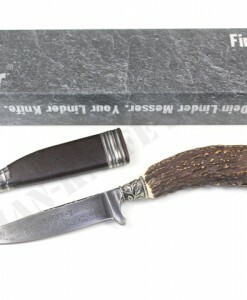 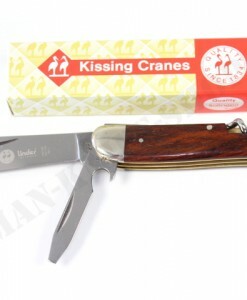 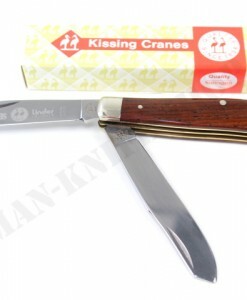 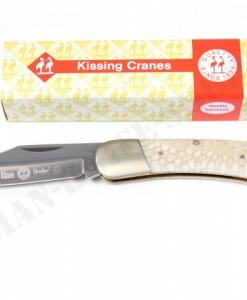 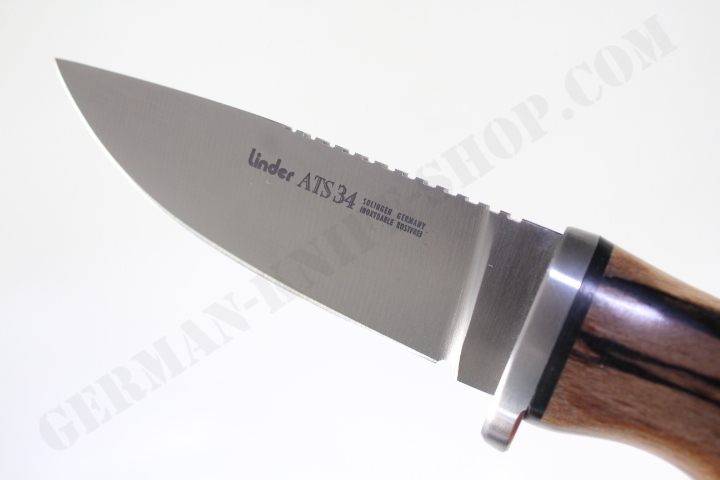 Superb German Linder ATS 34 Hunter with ATS 34 stainless steel blade. 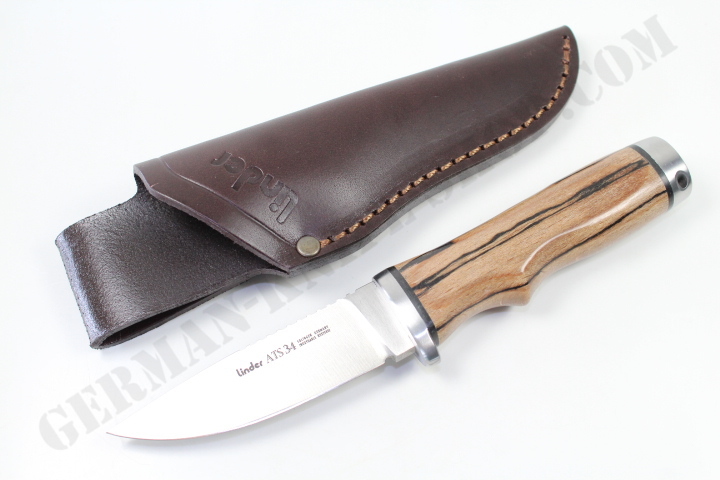 Stabilized beech wood handle. 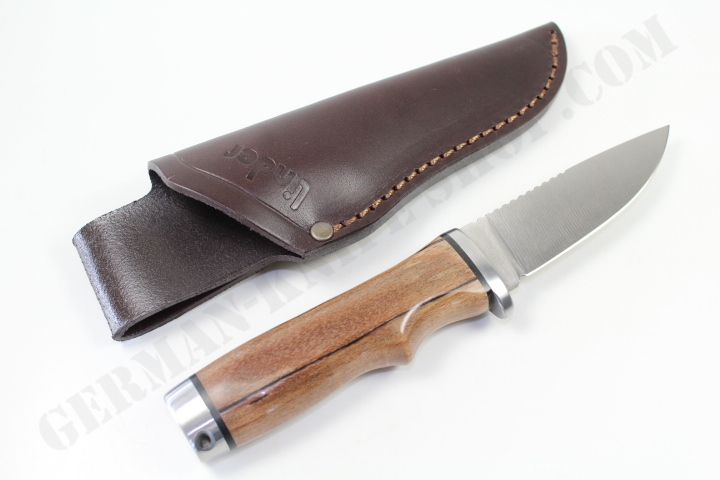 Stainless guard and pommel. 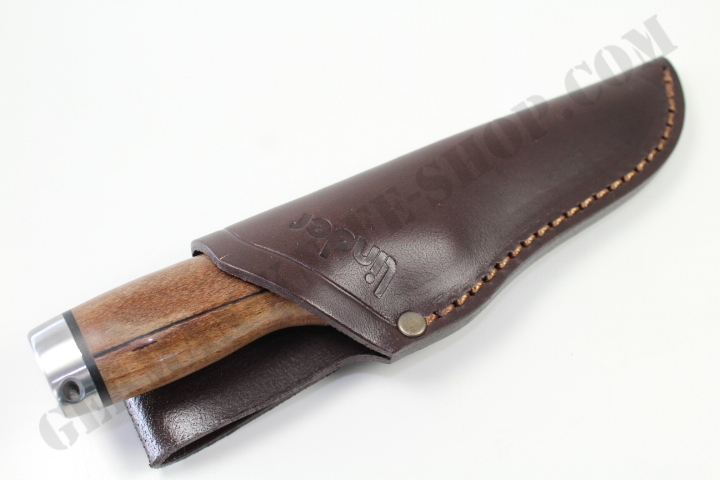 In leather sheath.